The facility consists of 7,200 square feet of galvanized steel skating ramps and stands in a fenced in enclosure. There is a flat asphalt surface and activity areas known as "fun boxes" including one that is a foot hight, designed for the younger kids. 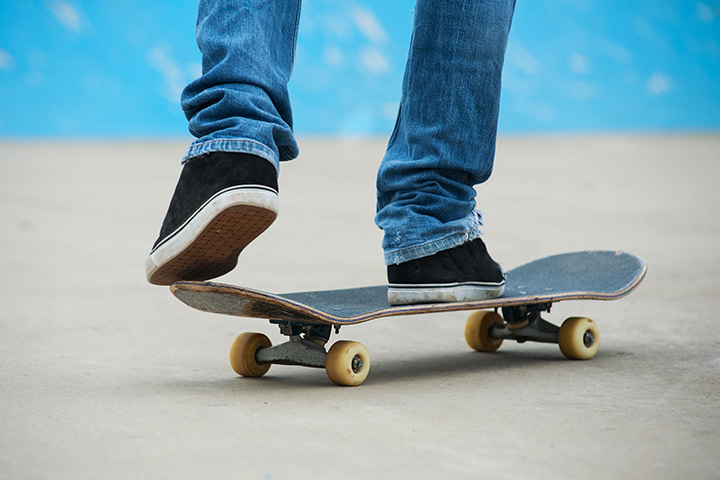 older skaters can test their skills on a 2-foot fun box. Three ramps, three, four, and five feet, are also available at the skate park, built by Spohn Ranch, a California-based firm. The skating facility is open when the park is open.